Another Filipino internet sensation has been famous in the social media network. The singing sensation was Roland Abante, from cebu. Who has a stunning voice that made him famous on youtube and got million of viewers from all over the world.. The viral video that was circulating in the social media is with his own version of the song “To Love Somebody” which also sung by Michael Bolton during his early career that Bolton made him famous. The said viral video is taken by his friend during their Vide-oke event. Based on his friend which is now stand as his manager they contacted an agent from the American TV network which is the NBC, which will be inviting them to guest Roland Abante In the famous show “The Ellen Show” in America. Which makes Roland very happy, the cebuano Internet sensation. watch his version of "To love somebody"
watch his version of "Youre the inspiration"
Good luck Roland Abante, another talented pinoy singer sensation, keep it up!!! 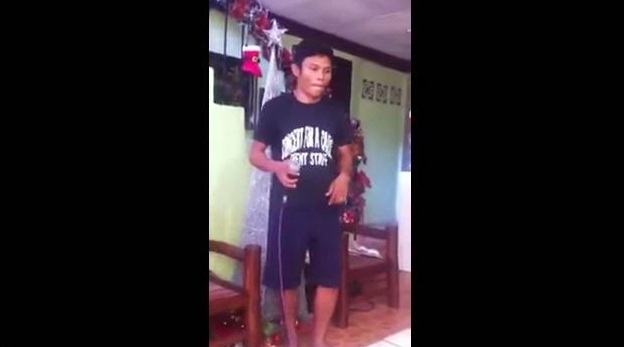 No Comment to " Cebu Internet Sensation Roland Abante "